If you follow me on Facebook, you may have seen that the release date for The Winter Garden has moved from March 31st to March 15th. When I arranged the pre-order for the story, I had left plenty of room in case I got busy with class and was unable to finish and edit it as quickly as I planned. As it turns out, I have everything ready to go about a month ahead of schedule. Part of me would love to release it today, but due to the way Amazon has the pre-order set up, I can’t move it up that far. I decided to release it two weeks early, which will allow me to do one more proofing of the opening chapters, but both the ebook and paperback will be out by March 15th. Let me tell you a little more about The Winter Garden in hopes that it will pique your interest. The genre of The Winter Garden overlaps with several. The tone is a bit dark and the story centers around the paranormal, so I have chosen fantasy -> paranormal as one genre on Amazon and the other is science fiction -> steampunk. The story is set in an alternate version of Victorian England where steam and electric power have taken the place of the combustion engine. By choosing this slightly fantastical world of contraptions and automata, I can get away with slipping in ghosts, magical potions, and a bit of odd science. I try to stay as accurate as possible, even with the science used in the book, but the fantastical is always present in my work. The reason I chose paranormal as one of my genres is because of the prevalence of the soul throughout the novel. Two souls end up intertwined, which binds the characters together throughout the story when otherwise they would have gone their separate ways, and because one of the characters, Emmeline, is a Spiritualist medium, she is able to connect with the souls of those who have passed on. Several souls also end up trapped, but I’ll leave that for when you read it. 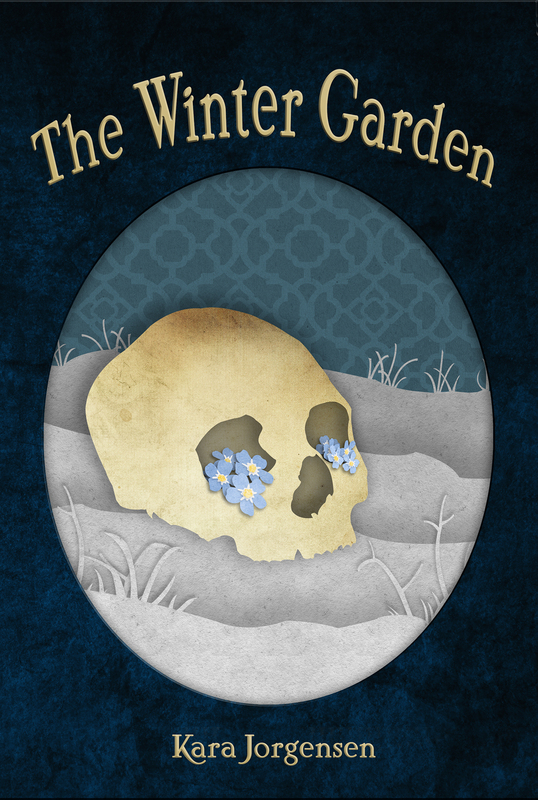 The other genres that The Winter Garden touches upon are: suspense, historical fantasy, LGBT lit, romance, and science fiction. I’m just going to touch upon four of the main characters without giving away too much detail. Emmeline Jardine– 17 year old Spiritualist medium, daughter of renowned medium Madeline Jardine, spoiled, selfish, childish, but has the gift of mediumship. Despite her bratty exterior, Emmeline yearns to be loved and that drives her toward her goals, and she’s willing to step on people to get there. Immanuel Winter– 21 year old German student studying zoology at Oxford. His family comes from a long line of scientists who came into the field via alchemy, and his mother gave him a family heirloom before he left to keep him safe. It is a vial decorated with gold and silver leaves that has the phrase “Mix with blood” written in Latin on its stopper. While quiet and unassuming, he was forced to leave Germany and will probably never be able to return. Adam Fenice- 24 year old brother of Hadley Fenice (she was a main character in The Earl of Brass where he also appeared). An accountant by trade, Adam helps Hadley run the family toy and prosthesis business, but he is an appreciator of the arts with a penchant for novels and anything Wilde. Lord Alastair Rose– 27 year old nobleman, third son of a marquess. Lord Rose is the head of the London Spiritualist Society, though he has no extrasensory abilities of his own. A climber in his spare time, he is known for his dalliances with wealthy women and cruel streak. Much like Emmeline, he will do anything to get what he wants and will not let anyone stand in his way. If you are interested, it is still available for 99 cent pre-order here:http://amzn.com/B00RU0R0YW . If paperback is your format of choice, stay tuned because I will post the link for the paperback when it is ready. Both formats will come out March 15th. Thanks, Tantra =) I hope your writing is going well! I always see you publishing something on Facebook.